iPhone is the name of dream. Most of our people fancy that they have a iPhone on their hand. Cause of an iPhone is everything for once. iPhone has many awesome features and that’s why everyone mad about iPhone. If you have a iPhone then we have a awesome trick for you. You can use you iPhone as Webcam. If you want that then you are at the right place. Keep with us to know how to use iPhone as webcam. By this trick you can use your iPhone as webcam for your PC or MAC. We will show you the easiest way to use your iPhone Smartphone as a webcam for PC or MAC. You can see many apps on internet about it. Internet is the best place to get anything. But this one is the easiest method available to use your iPhone as a webcam for your PC. First of all, you need to download and install an iOS app that is WebCamera the app that is going to connect your device camera to your PC wirelessly. 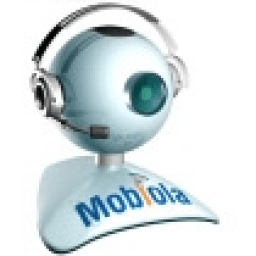 Now you need to on your PC, you need to download and install the tool that is mobiola web camera this tool that provides the wireless connection between devices. Now the most important thing is that you need to pair both the devices on the same WiFi network to which both the devices are connected. Complete it and you are done. Now now try out any of the networks like WhatsApp, Skype etc. And you can see your webcam is working. Hope you like it. iPhone trick is such a awesome thing. This trick can help you a lot. You can check you home at the same time when you are at office. You can see what’s happening in your home. This is a safety trick about anything. Stay with us to get more new and awesome trick about your daily life style.